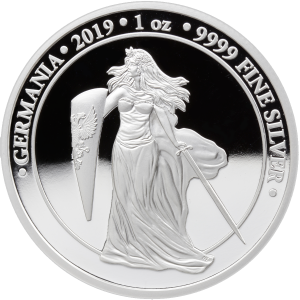 News - Germania Mint Bullion and Commemorative Coin Manufacturer. 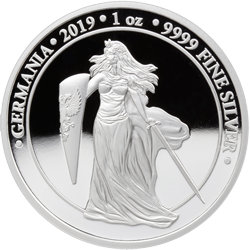 We are proud to present the Germania 2019 Proof coins. We invite you to familiarize yourself with our upcoming plan including two issues of proof quality. 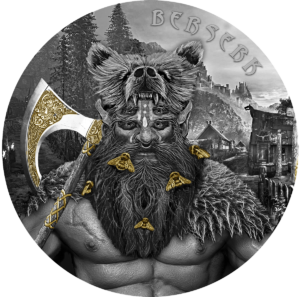 Berserk is known for his mad courage and great strength, the invincible Odin’s protégé. His most terrifying attribute was a battle frenzy, in which he entered before the battle with the use of alcohol or hallucinogenic mushrooms. During this rampage the warrior drank human blood, screaming like a wild beast, bit his shield and his mouth was blowing foam. In the wild fury he was convinced that he was resistant to steel and fire and that nothing could hurt him. In battle Berserk attacked everything he encountered without distinguishing between a friend and an opponent, wreaking havoc upon the ranks of the enemy. He approached for battle without armor, wearing only a skin of a bear, a wolf or a wild boar. On the one hand, it emphasized his wild nature, and on the other hand, he helped his allies to keep their distance when he was in a fury. 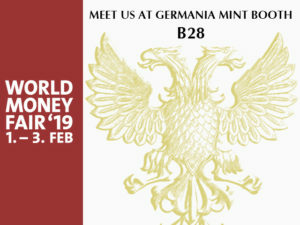 In the December 2018 issue of the “Coin World” – one of the most respected collecting magazines in the world – an article was published about Germania coin, which is an effect of our cooperation with Germania Mint. 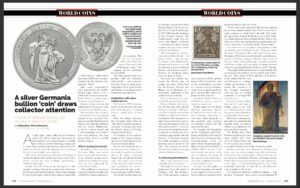 We are happy that our work gains the attention of international coin enthusiasts and numismatic industry media. 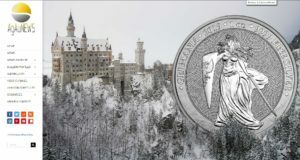 We are proud that Germania coin is gaining more and more attention from collectors all around the world. 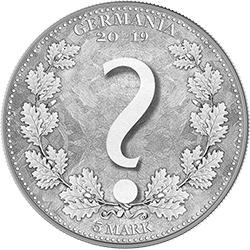 This time “AgAuNews” – an online resource for numismatics’ enthusiasts – wrote about the Germania project, which is the effect of our product development for Germania Mint.